PORTLAND, Ore. – The Science Behind Pixar, an exhibition about the science behind some of the most beloved animated films and their characters, opens February 23 at the Oregon Museum of Science and Industry (OMSI). 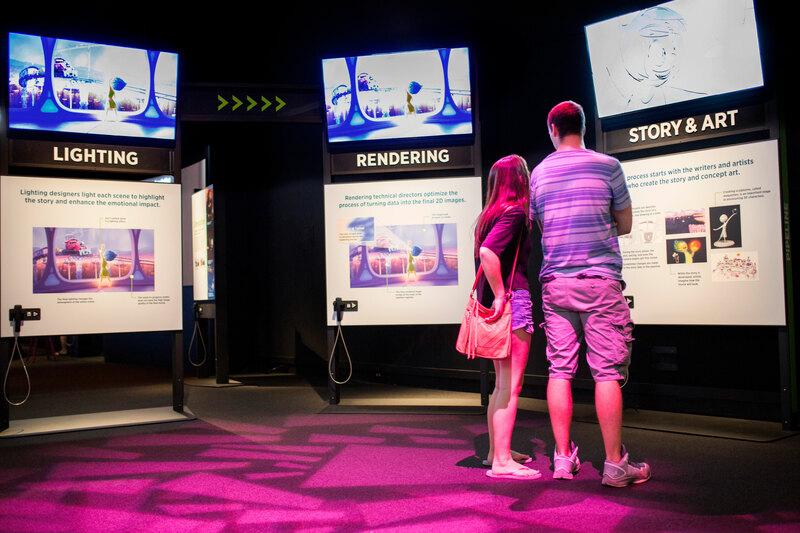 This hands-on exhibition demonstrates the technology that supports the creativity and artistry of Pixar’s storytellers. Created by the Museum of Science, Boston and Pixar Animation Studios, and featuring more than 50 interactive elements, The Science Behind Pixar showcases the science, technology, engineering, art and math (STEAM) concepts used by the artists and computer scientists who help bring Pixar’s award-winning films to the big screen. 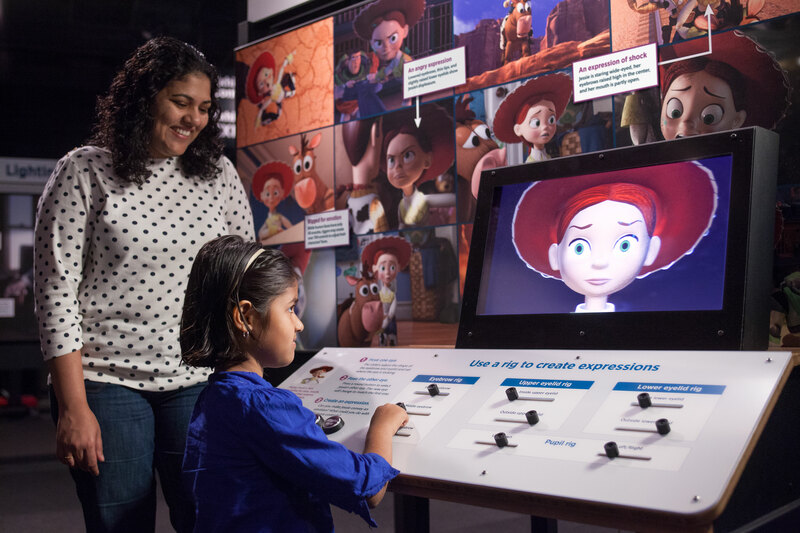 "The Science Behind Pixar is an interactive exhibit that offers people a hands-on opportunity to understand how we make our films," said Jim Morris, president of Pixar Animation Studios. 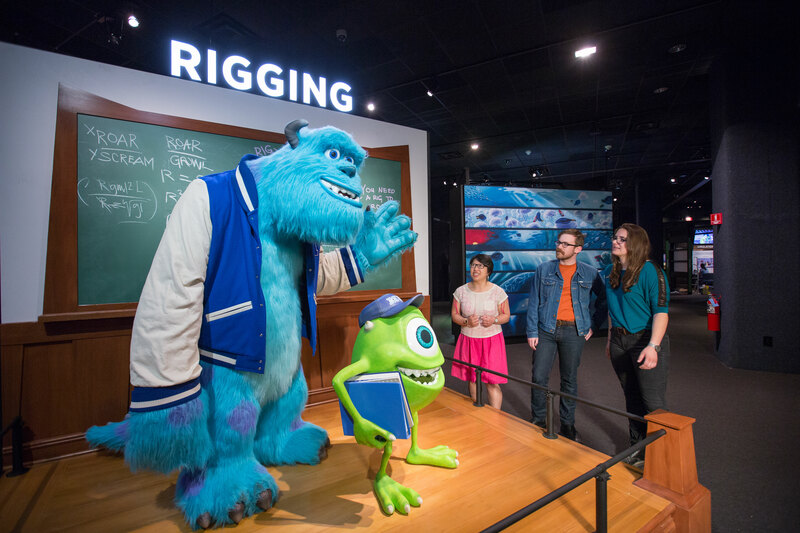 “At Pixar, we use science, technology, engineering, art and math – along with a significant dash of creativity and fun – and this exhibit is truly a great demonstration of how all those ingredients come together in our filmmaking process." • Modeling. Envision how digital sculptures are created based on sketches from artists. • Rigging. Showcases how the models are given a virtual skeleton to enable the animators to add movement. • Surfaces. Understand the techniques behind adding color and texture to every surface in a film. • Sets & Cameras. Discover how a bugs-eye view was achieved for A Bug’s Life, through camera angles and large-set design within the computer. • Animation. See how animators bring characters to life, posing them to act out each scene. • Lighting. Try to solve hands-on lighting challenges similar to what Pixar artists faced in creating animated water with virtual light in Finding Nemo. • Rendering. Explore how Pixar animators turn all of the data and programming into the final film you see on screen. The Science Behind Pixar is at OMSI Feb 23 – Sep 2 at OMSI and is made by possible through generous support from local presenting sponsor, US Bank. Through our Community Possible giving and engagement program, we focus on the areas of Work, Home and Play,” said Stacey Dodson, Portland Market President for U.S. Bank. “We especially believe in the power of play and its ability to bring joy, to help develop problem-solving skills, creativity and curiosity and to build interpersonal social and emotional skills. That is why we are so pleased to partner with OMSI on this opportunity to bring The Science Behind Pixar to our community." Tickets to this exhibit, which include general museum admission, are $21 for adults, $14 for youth (ages 3-13), and $17 for seniors (ages 63+). Prices for OMSI Members are $5 for adults, $3 for youth, and $4 for seniors. Guests can purchase tickets online at omsi.edu, via phone at 503.797.4000 or in person at the museum. The Science Behind Pixar is funded through support by Google, members of the Science Museum Exhibit Collaborative (SMEC), Institute of Museum and Library Services (IMLS) and the National Science Foundation (NSF). Pixar Animation Studios, a wholly owned subsidiary of The Walt Disney Company, is an Academy Award®-winning film studio with world-renowned technical, creative and production capabilities in the art of computer animation. The Northern California studio has created some of the most successful and beloved animated films of all time, including "Toy Story," "Monsters, Inc.," “Cars,” "The Incredibles," "Ratatouille," "WALL•E," "Up," "Toy Story 3,” “Brave,” “Inside Out,” and “Coco.” Its movies have won 35 Academy Awards® and have grossed more than $13 billion at the worldwide box office to date. “Toy Story 4,” Pixar’s 21st feature, opens in theaters on June 21, 2019. Founded in 1944, the Oregon Museum of Science and Industry (OMSI) is one of the nation’s leading science museums, a world-class tourist attraction, and an award-winning educational resource for the kid in each of us. OMSI operates the largest museum-based outdoor science education program in the country and provides traveling and community outreach programs that bring science learning opportunities to schools and community organizations in every county in Oregon and throughout the region. OMSI is located at 1945 SE Water Avenue, Portland, OR 97214. For general information, call 503.797.4000 or visit omsi.edu. 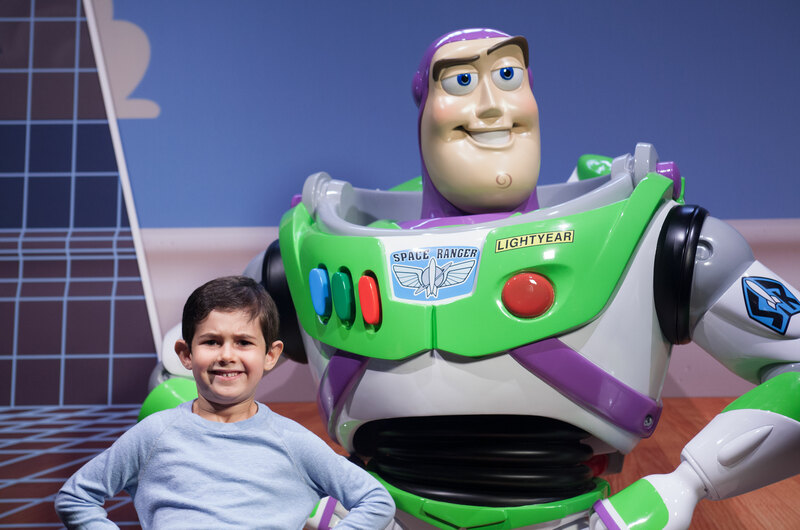 Pose with a human-sized model of Buzz Lightyear and learn how he was made. In the Rigging area, visitors pose with models of Mike and Sulley from Monster’s University. Visitors use rig controls on Jessie’s face to create expressions. Visitors watch a scene from Inside Out at each stage of the production from storyboards to final film. 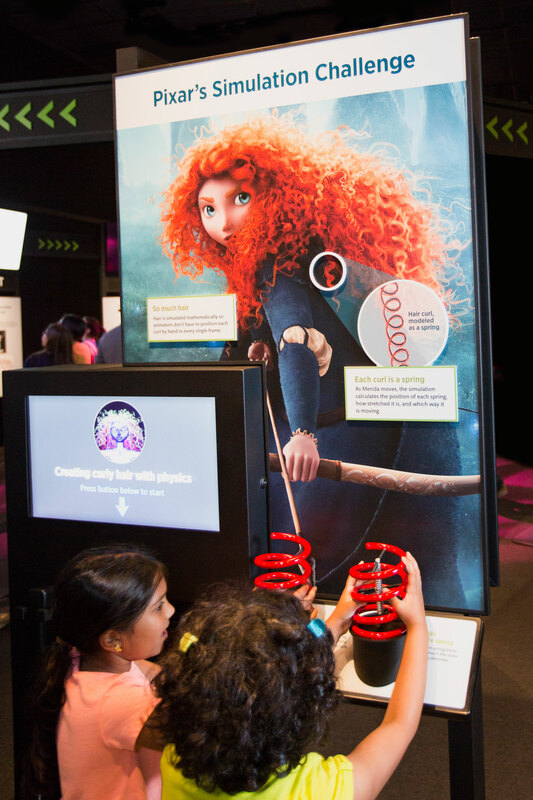 A video and tactile models explain how Merida’s curls were simulated as springs. 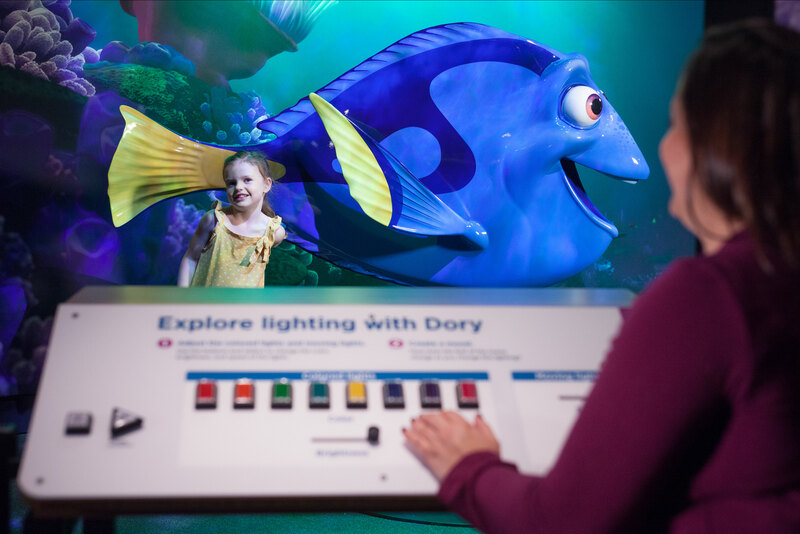 Visitors adjust the lighting for their photo with Dory. 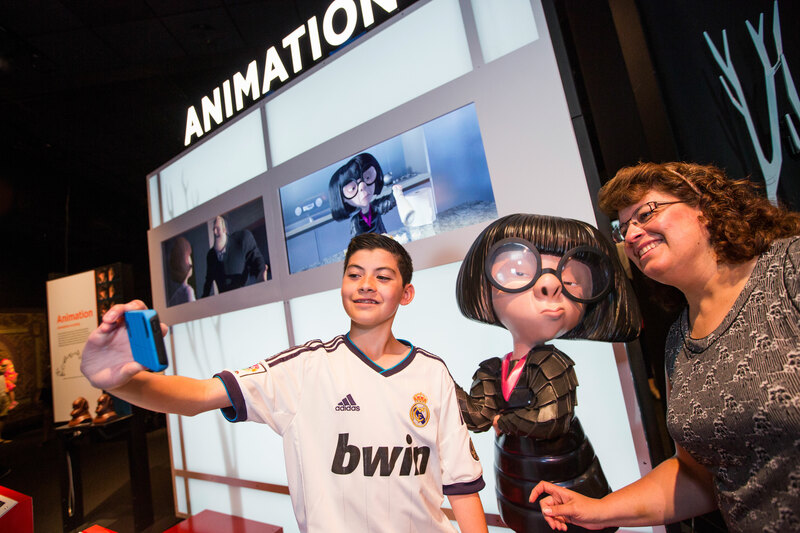 Visitors pose with models of some of their favorite Pixar characters, including Edna Mode.